Society has an obsession with visual content. Hence the rise in visual content platforms like Instagram and YouTube. Marketers and businesses have used visual content to bring visibility to their brand for it’s effectiveness with consumer engagement. 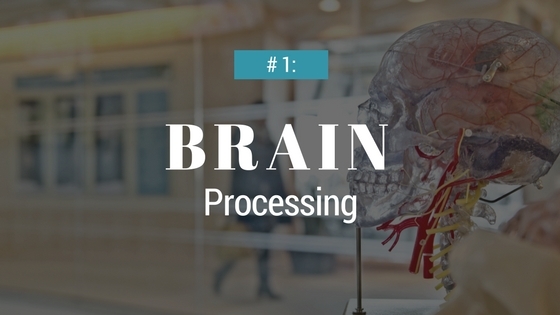 In this article, we explore the scientific reasoning behind this determine and how we can apply this psychology to create top-notch marketing content. Content posted with colored images produced 180% more engagement. Customers are 85% more likely to purchase your product after watching a video about it. 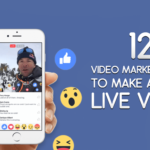 It’s no wonder then that social media platforms are becoming more and more visually-oriented, such as Instagram, Facebook live, Snapchat and YouTube. Lucky for us as marketers, this opens up a big opportunity to engage with our customers and show off our products and services. But in order to maximize our effectiveness, we need to truly understand the psychology behind it and how the human brain works. So why do we love visual content so much? 1. Process More. Process Faster. Although we have 5 senses, our primary sense that is used to make sense of our world is sight. Simply put, we interact with our world through looking. Which is why 90% of the information that is transmitted to the brain is visual. This is what our brains are made to do and have done since day one. When we are first born, we immediately begin seeing things and are able to retain and make sense of that visual information right away, but we don’t learn to talk or read until much later. Since our brains are made to be visual, and by the time we are “consumer-age,” our brains are able to process this visual information at an alarming rate. In fact, we process visual content up to 60,000 times faster. And we don’t just process more, faster. We also retain and remember visual information far better than text, which the average person will only remember 20% of. Color is very powerful to the human brain and our emotions. Have you ever seen one of those viral videos that documents the reaction of someone that is color blind seeing a new color for the first time? It almost makes the viewer want to cry with joy! But here we are, left wondering why is colorful so powerful to us? There are two primary components of the eye that allow us to capture visual information to send to the brain. Rods and cones. The cones are responsible for color, and were developed to help us stay away from danger, particularly poison. So color really taps into our “lizard brains,” making it an extremely powerful tool for our survival. And although it has been a long time, these innate and instinctive behaviors don’t just simply vanish from humans. A recent study from the University of Berkeley, California concludes that we do still have strong negative and positive associations of color. While some of these will differ from the individual’s personal experience, the following can be generalized: Blues and greens are associated with nature, good health and cleanliness, white, along with blue is also associated with ‘freshness’ and clean living, and browns and certain shades of yellow evoke negative connotations (because these were colors we wanted to generally avoid while foraging for food – and we still dislike them thousands of years later). You know that feeling when you abruptly see something move out of the corner of your eye? It might give you an eerie feeling because you can’t tell who or what it was. Our heads immediately snap to the direction of the movement. Movement is so powerful to us for the same reason as color – it taps into our lizard brain for survival instinct. So when we see movement, it will capture our full attention and keep it, until we know it’s no longer a “perceived threat.” So if you are constantly changing the movement and information coming in, you will hold attention. Our human brains are extremely complex. So complex, that they are simple. Or rather they simplify everything that they can in order to process complex information more efficiently and rapidly. Essentially, our brains identify and create shortcuts for us to make everything seem more simple. So as much as our brains need stimulation, they really crave simple ideas and simple tasks where we can create these shortcuts. A shortcut for our brain is visual processing, because it is able to process that information much more quickly and with less effort. In fact, it only requires 50% of our brain to process a visual advertisement. This is also why public signs so often have a distinct look and portray information visually. Yes, it breaks down the language barrier, but it also makes things more efficient. Just imagine you’re driving and a sign reads “watch out, upcoming road will be windy and have a lot of turns.” You might pass that sign before you even read it all! Or you could just have a visual of an arrow and turns like the one below. 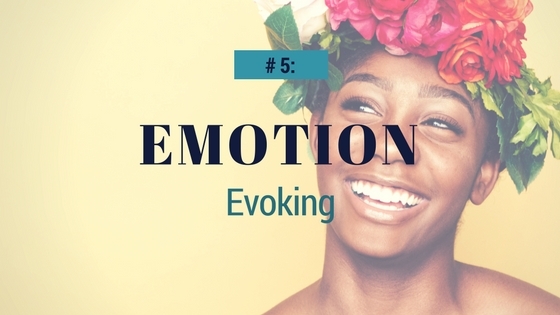 Reading emotions visually through facial expression is one thing. But we also have the ability and oftentimes will feel that emotion in one of three ways. 1. Nostalgic – when we see an expression on another’s face, we often remember a time when we felt that emotion too, 2. Imagination – we will imagine ourselves feeling a certain way too, or a uniquely human characteristic 3. Empathy – we truly feel the emotion of that other person. Other visuals also play a role in emotions, including color. For example, if we see a picture of someone with a slight smile and a white background, it will not be as emotionally powerful to us as an image of that same person with a background of the blue sky and a bright yellow sun. More Visual Content – Strive to make as much content as you can visual. We aren’t saying ditch your blog posts or white papers, but add images or videos to them. 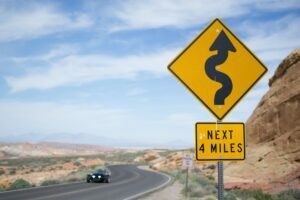 Many times, you can also switch out a description for a scene and replace it with an image (like in #4), or turn a “listicle” blog post into an infographic. Color – Don’t shy away from using color! But also pay careful attention to the colors you’re using. Although the perception of color does differ across cultures, blue is almost always a safe bet. Movement – Make your visual marketing content move through animations and video. High-Impact Movement – Remember how we said that constantly changing the movement holds our attention? Switch up the movement in your videos. For example, if you’re producing a corporate video with a long interview of the CEO, don’t just film it all at his desk. He says 3 sentences, then you switch scenes to him collaborating on a project with a voiceover. Then switch again to him standing in front of a set of cubicles with their employees, or better yet, walking around the office. This is sure to hold the attention of the viewer longer. 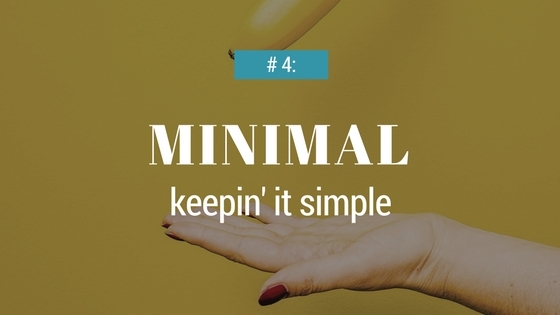 Keep it Simple – We like visual content because it’s simple for our brains. Crazy layers or double exposure and custom graphics aren’t going to appeal to this. Especially now, in a time of digital marketing and social media, we are processing more information in a day than ever before in history. All this stimuli actually makes us attracted to simple visuals, which is why minimalist graphic design and branding is still trending, and will likely remain a trend for years to come. The human brain’s obsession with visual content has driven the rise of visually-oriented social media channel. 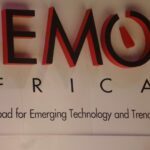 This has opened the doors for companies to promote their products in a visually engaging manner, to audiences across the globe. 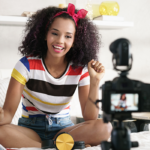 But due to the short life of every Instagram Post, or Boomerang video, it’s crucial to get the very most out of each advertisement or content post. And after reading this article, you now understand the science behind how to capture the attention of and win over your customers. 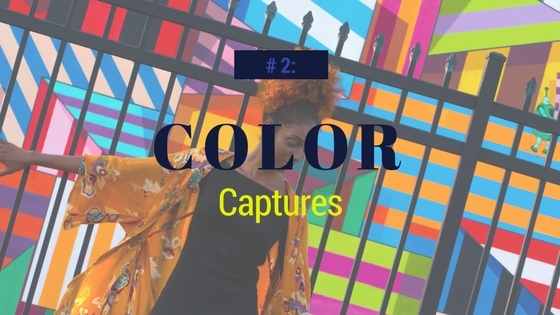 Use this knowledge and the ideas provided to create captivating visual content that is sure to fuel your marketing strategy and convert customers. Is the Onslaught of Native Advertising Pushing Marketing to be More Creative?